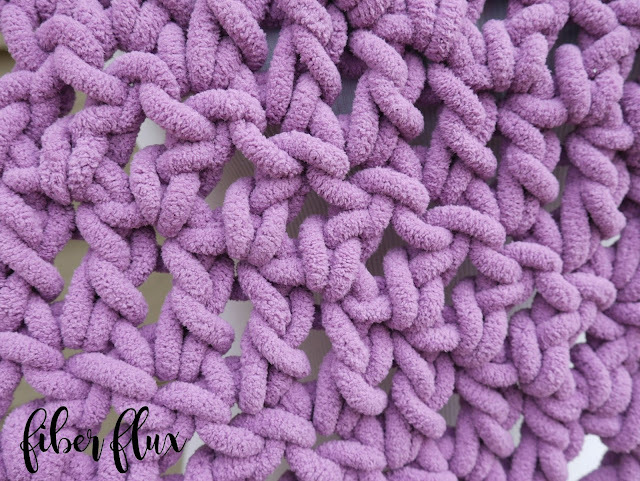 Fiber Flux: Free Crochet Pattern...Lavender Clouds Neckwrap! 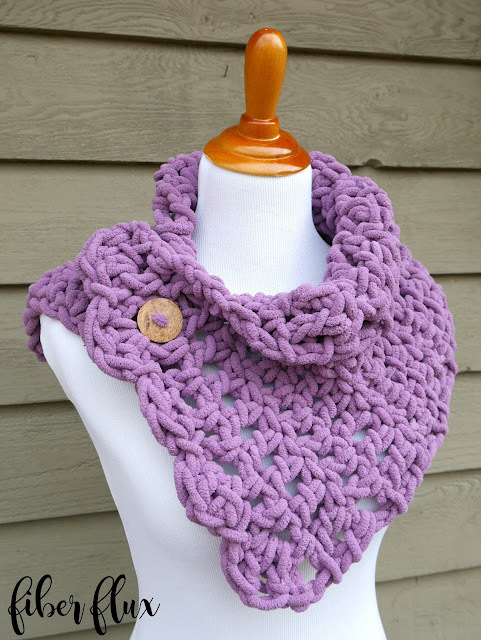 Free Crochet Pattern...Lavender Clouds Neckwrap! The Lavender Clouds Neckwrap is a beautiful and lightning fast project to stitch up. I made mine in under an hour! 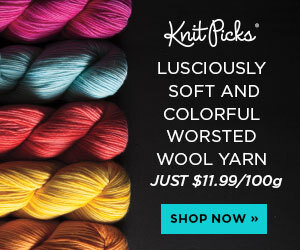 Using thick, plushy yarn and a big hook, you can whip up a few for gifts too. 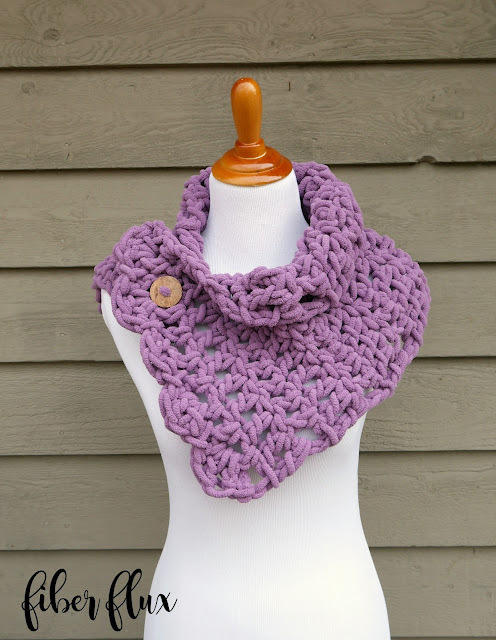 A special button helps keep it closed and be sure to scroll down for other ways to style your neckwrap! 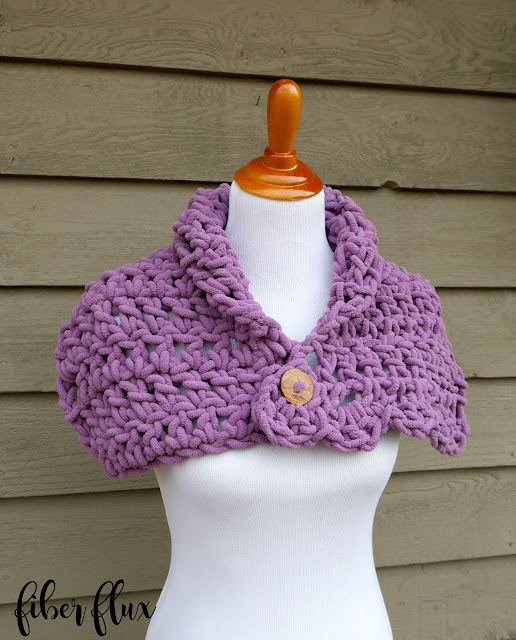 1 ball of Sweet by Red Heart in "Mauve"
Click the images above to get yarn & supplies for this project! 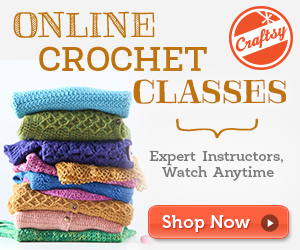 Row 1: In the third ch from the hook work a dc. Work a dc in each ch across. Row 2: Ch 3 (counts as a dc) Work a dc in the next st and in each st across. Work a dc in the turning chain space. Work row 2 until piece is about 34 inches long. Edging row: Ch 1 and turn. *In the first space (not stitches this time), work 3 dc. In the next space work a sl st. Repeat from * to the end of the row, then work a sl st in the turning chain space. Fasten off and weave in any ends that remain. To sew the button, lay the piece flat with the starting chain edge closest to you. 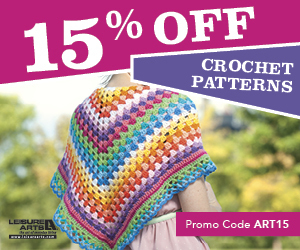 With a matching piece of yarn, sew the button to the lower left corner with a large tapestry needle. Great pattern...love it. 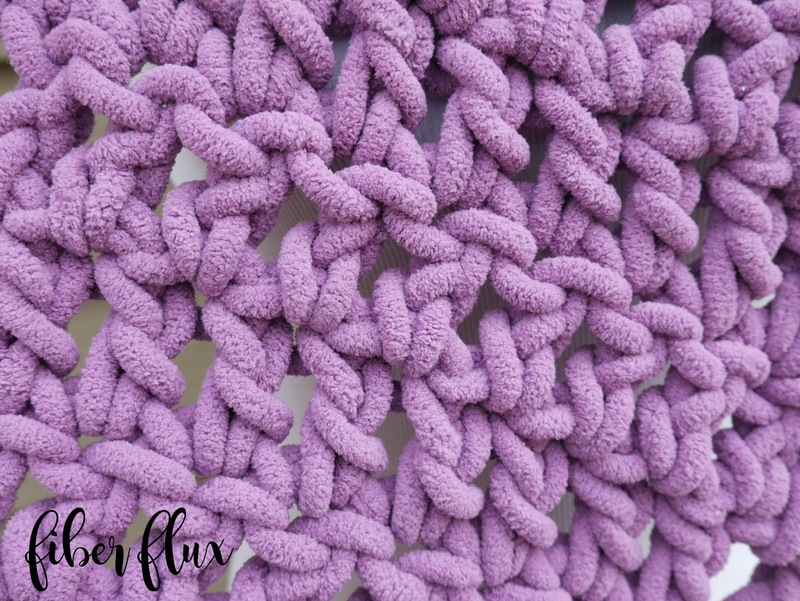 I've not tried this yarn..
Love the Fiber Flux patterns and would love the chance to win the yarn giveaway to make many more projects and share the yarn with my sister.